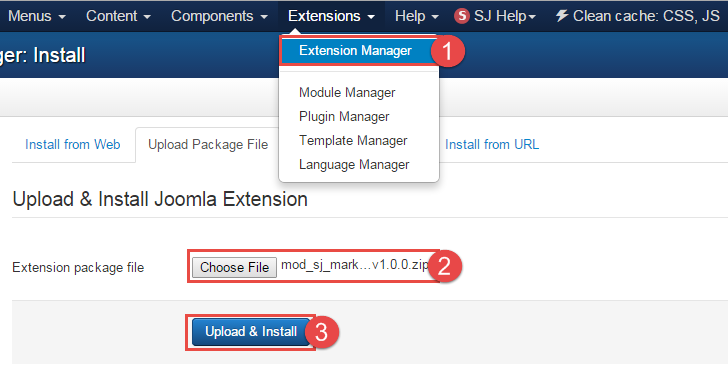 This guide will help you install SJ Market step by step. Firstly, you need to UNZIP file that you have downloaded. 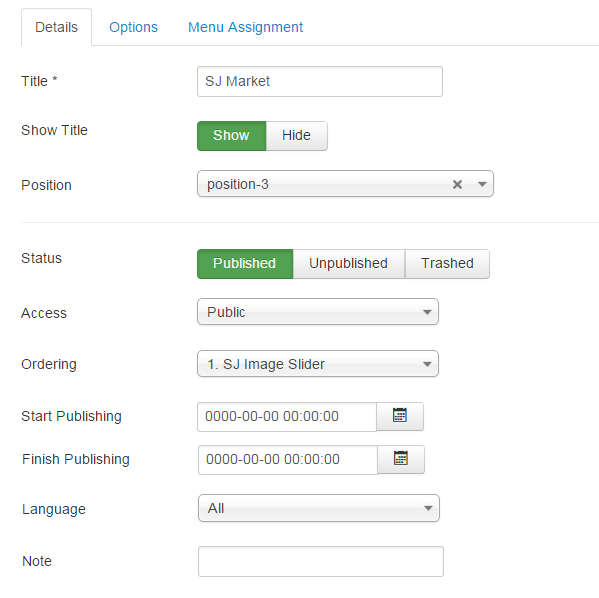 Status – If published, this module will display on your site frontend or backend depending on the module. 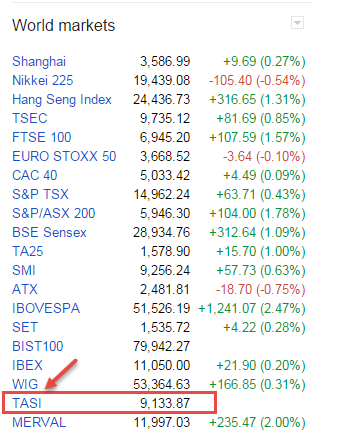 Title – Insert title of table. Module Class Suffix – Allows a suffix to be applied to the CSS class of the module. Set Area Name Tab 1 – Allows to set area name tab 1. 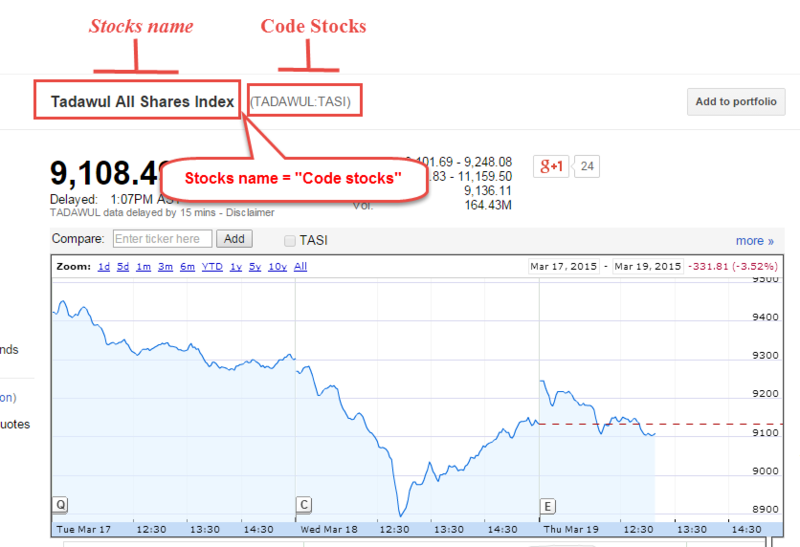 Shares code Tab 1 – Allows to get code stocks. 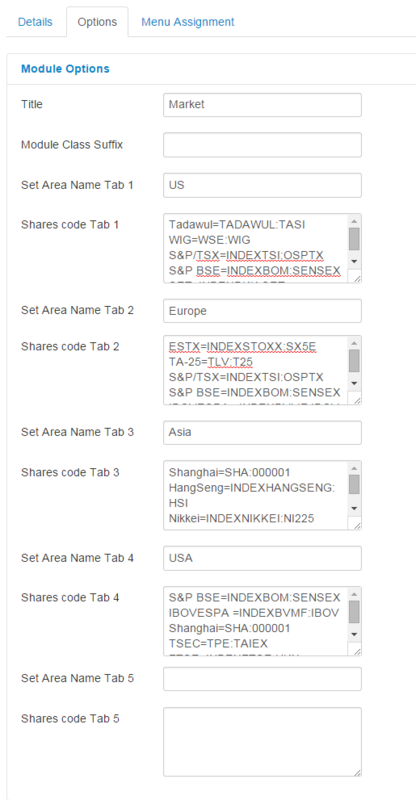 Step 4: Navigate to the parameter “Shares Code Tab 1” and type “name of stocks=code of stocks”.